The Sound Works & Security team are experts in assessing your risks of fire and providing high-quality, cost-effective solutions to assure the safety of your buildings, equipment and furniture, and most importantly, your employees. When it comes to Fire Protection Technology Systems, Fire Suppression Systems, Fire Protection Systems. 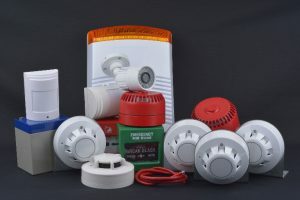 Fire Alarm Systems, and Building Fire Safety for Connecticut, Sound Works & Security is an industry leader in sales, installation, service, and inspection of low-voltage fire alarm systems. When it comes to Fire Protection Technology Systems, Fire Suppression Systems, Fire Protection Systems. 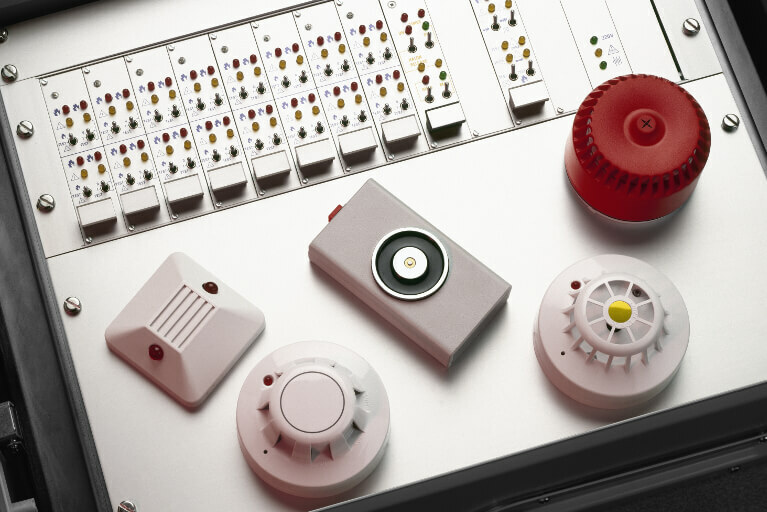 When designing, installing or servicing a fire alarm system we are compliant with the National, State and Local code requirements. Sound Works & Security has installed complex Fire Protection Systems and Fire Alarm Systems in commercial, residential and industrial facilities located in Connecticut. These include educational institutions, commercial buildings, healthcare facilities, industrial structures, municipal buildings, and churches. Sound Works & Security, is committed to providing outstanding 24 hours a day, 7 day a week protection that takes advantage of the most sophisticated fire alarm monitoring technology currently available today. Fire never takes a day off and neither do we as ensure that our clients’ properties - and the people and assets on it – are as safe as humanly possible. The moments between the start of a fire and the arrival of the first responders are absolutely crucial. Sound Works & Security is keenly aware of its responsibility to act in a timely manner at the first hint of trouble. When the need arises, we are the very best at ensuring that help arrives when it is needed. Our customer retention rate speaks for itself, as we have provided the highest level of safety for the most competitive rates possible. When it comes to central station fire alarm monitoring, no one is more trusted for high quality, efficient service. We are completely committed to providing our clients with peace of mind as well as outstanding value! It's a fact we're all familiar with, but it's still always worth mentioning that regular fire alarm inspection is a necessity for all buildings and residences. A fire alarm is not much good if it does not actually work in the event of a fire. Fortunately, Sound Works & Security is here to ensure that alarms work and that they pass the fire alarm inspection protocols. The only way to ensure that a system will work and - almost as important – pass the detailed fire inspection regimens created by local fire departments is to conduct a highly detailed fire alarm test at regularly scheduled intervals. Sound Works & Security, is the Connecticut leader in fire alarm maintenance, ensuring that all fire equipment is in proper working condition and remains as effective as possible in the event of an actual emergency. We use only the latest equipment and best practices to ensure that all systems are functioning, ensuring the safety of lives and property. Just as important, if a defect is found, our outstanding technicians are there to provide the highest level of fire alarm service. 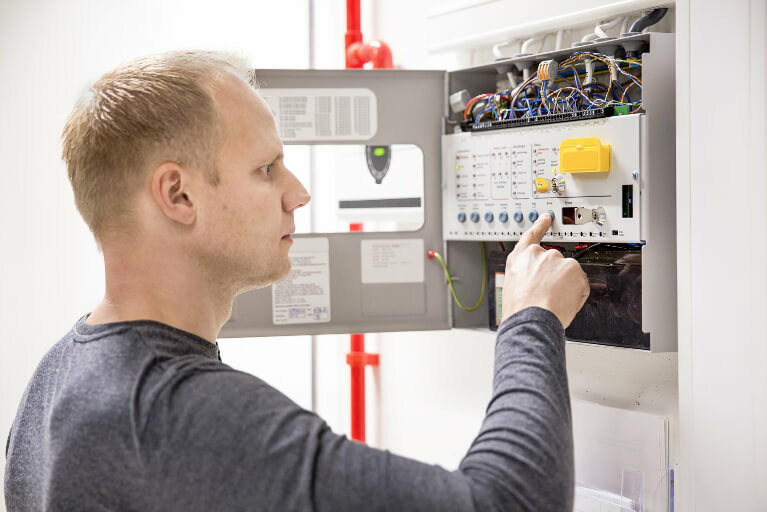 Our professional and premium services ensure that all fire alarm systems are in working order, while we do our best to keep costs down for clients through our commitment to efficient performance and competitive prices in terms of fire alarm testing, repair, and installation. At Sound Works & Security, we know that lives, property, and livelihoods are at stake. We take our work very seriously and we're committed to doing everything we can to promote fire safety. Heat / Smoke Detector – These devices detect the signs of a fire, in the forms of smoke or heat. 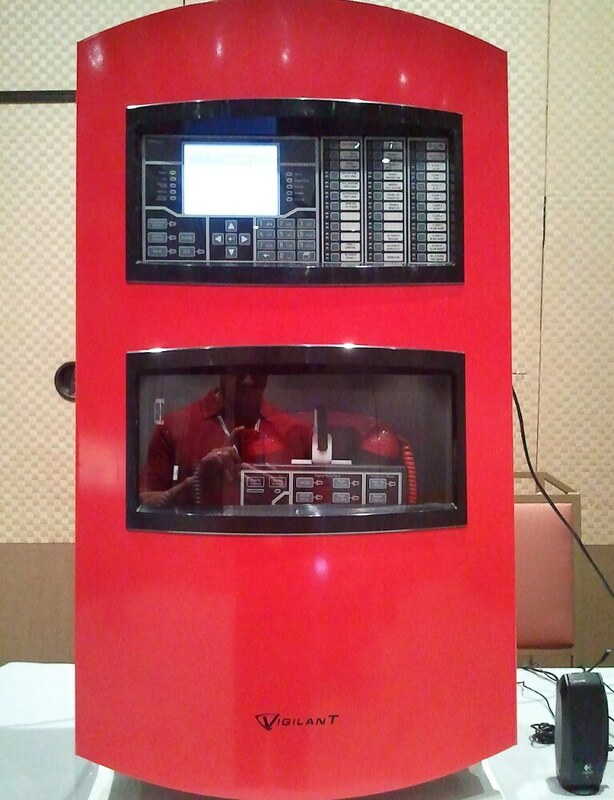 If a fire is detected, the device will signal the control panel. Pull Station – People are usually quick to notice a fire and pull stations allow for a mass notification in that event. Fire Wire – Special wire is used with Fire Systems. On this wire, the coating is quick to melt, which causes the conductors to touch. This shorts the system, and a signal is detected. Siren Strobe – In the event of a fire, it is very important to notify everyone. A Siren Strobe sends visual and auditory cues of the impending danger. 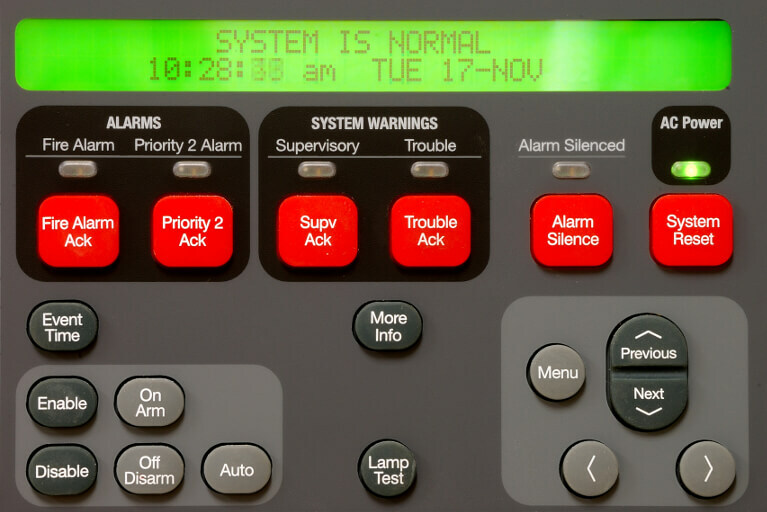 Control Panel – All detection devices send signals to the control panel, which sends signals to the Fire Department and the notification devices. Much scrutiny goes into the equipment Sound Works & Security chooses to install, it must be durable, long lasting and the technology must be up to date. Sound Works & Security adheres to the National Safety Code Compliance.